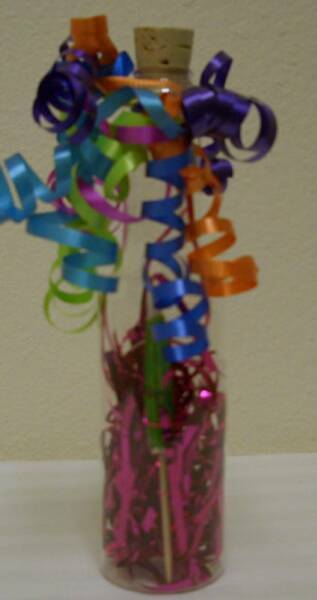 Brighten someone's day with this long lasting awesome bouquet! This You're Awesome balloon bouquet has 1-20" You're Awesome star micro foil balloon, 2-18" lime green Stay Cool micro foil balloons, 4-11" You're the Best printed latex balloons. Attached to a decorative balloon weight with 8-5" latex balloons or you may choose a bag of candy. Add a message in a bottle for a unique touch to your gift for only $3.99.